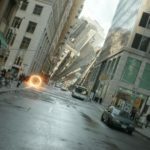 Doctor Strange opens up the Marvel Cinematic Universe to a brand new mystical world and introduces the audiences to new dimensions. Since these were the most important elements of the movie, story and visual effects played a big part of the film that had to make the audience believe in the alternate dimensions they see on screen. On the press junket day for the movie, we had the privilege of sitting with the filmmakers and cast to discuss the various components that went into creating the film. 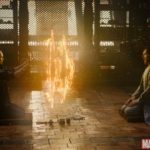 Stephen Strange’s origin structure may seem familiar but Feige still found a way to make the film itself unique. We see Strange’s character development continue throughout his journey, from the various situations he gets stuck in to the intense action scenes. 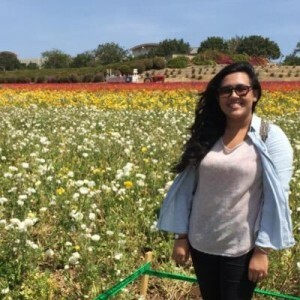 The film focuses on the idea that “things aren’t always about you,” and that ego and fear aren’t the only options we can live through. These story elements lend themselves to a plot that simultaneously feels both like a Marvel classic and a brand new type of superhero film. Another aspect of the film that audiences can appreciate is all of the hand choreography (also called tutting) that went “hand in hand” with the visual effects. The elegance and precision that went into the choreography is remarkable – maybe they’ll get audience members to practice these moves at home! Tilda Swinton, who plays the Ancient One, discussed the elegance and precision that went into the choreography. The cast was assigned a proper master who worked with them for weeks to show them how precise they had to be in order to be at the proper width to keep in frame. Swinton said, “you have to be at a certain point where the line is going to be drawn between your fingers and you can’t of course be in front of your face which was always my issue – I was always in front of my face with it.” After the cast completed their choreography, the visual directors would show them how effects would look on screen, blending physical movement with digital effects to create movie magic. As for the visual effects, they’re truly on another level for cinema, even for the MCU. 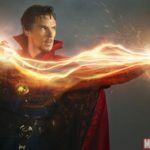 Director Scott Derrickson’s challenge for making the film was trying to make a movie as visually progressive by movie standards as Steve Ditko’s art from the comics in the 60’s. 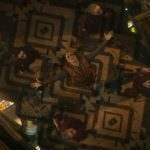 You can see how the film definitely follows the trippy imagery Ditko dreamed up for Dr. Stephen Strange, where we see how reality reflects and refracts itself, buildings split in half and characters open up portals to other dimensions. Derrickson said of this styling, “I think that the trick of it was to not hold back and to push ourselves as far as possible to do original things with the set pieces.” He thought he wanted to make every set piece in the movie to be the weirdest set piece in any movie, having each set be uniquely odd, unusual and refreshing. Derrickson also wanted to use visual effects sequences for more than just mass destruction like in previous Marvel films. He wanted to give audiences some kind of visceral experience that’s unique because, “the movies that do that are memorable and change the way you feel about cinema in general.” You can see how thoughtful Derrickson and his team was about creating a magical (no pun intended) visual experience for the audience. They got creative with effects and found new ways to do them. 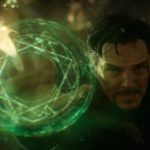 Doctor Strange shows audiences a different type of movie magic through visually stunning sequences and great storytelling. Derrickson and Feige were successful in making a film that is fresh and different, while still fun and fitting with the style of the MCU. Watching the movie in IMAX or 3D demonstrates the incredible work that was put into the film from how beautifully textured and dimensional all of it is. You don’t feel like you’re sitting the theater, you feel like you’re actually part of the film. I was already fortunate enough to watch it in 3D and was amazed with it. If you plan on watching it in IMAX or 3D, you’ll definitely get your money’s worth from the kaleidoscopic visuals that’ll remain in your mind long after you watch the film. Doctor Strange debuts in theaters on November 4, 2016.